Time’s Dilemma is now available in ebook form at all the major retailers! 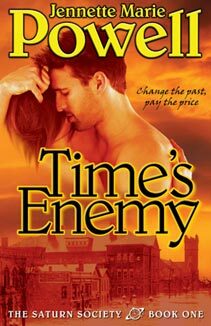 Did you enjoy Time’s Fugitive, and want to get to know Florie better? What about that strange, good-looking guy who showed up at her House just as all the craziness was going down? 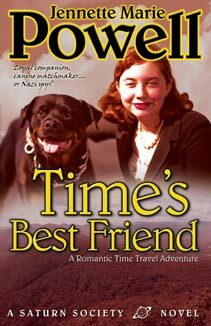 Or maybe you enjoyed Time’s Best Friend, and want to know more about what happened in 1939? Well, wonder no more–it’s all here! And for those who haven’t yet read the other Saturn Society books, this one is a great place to start. My publisher decided to label it Book Three of the series, but it can be read and enjoyed as a standalone story. It’s also shorter than the other books, so it’s a great intro to the Society that won’t require a big investment in your time. Want to know more? Just click Buy Now below. 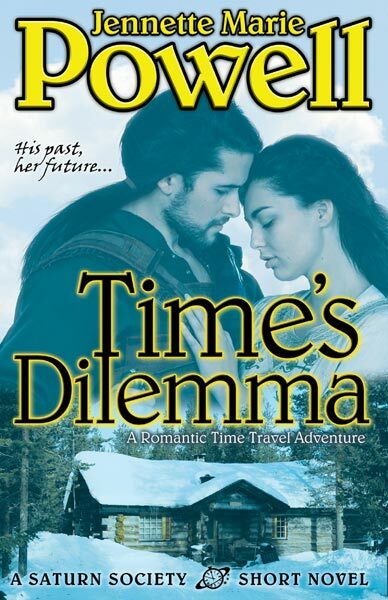 Time’s Dilemma is available for 99 cents for a limited time, to grab your copy soon! The weather here in Ohio has been crazy the past couple of weeks! Around zero a week ago, up in the fifties yesterday morning, and almost that today, only to drop back to a more typical twenty-something later this week. Luckily, the folks at Mythical Press have been busy getting something ready that should warm up even the coolest soul, if only figuratively: Love’s a Beach, an anthology of stories of summer love by members of the Ohio Valley Romance Writers of America. Yes, the anthology is finally going to happen, and yes, there’s something in it for everyone who likes a little romance, including those who’ve been waiting for something new from the Saturn Society! This is the long-time-coming first installment of Time’s Tempest, my serialized novel that takes place in a parallel timeframe to my WIP Saturn Society Book Three. In my story “The Storm,” a headstrong handyman on his first trip to the past winds up in the storm of the century, on the run from a madman from the future, with a woman he doesn’t remember meeting—or falling in love with. 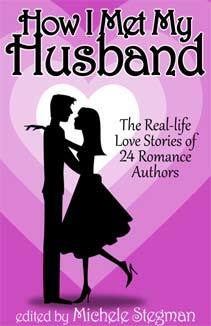 Warm up your winter with this anthology of stories of springtime and summer love by members of the Ohio Valley Romance Writers of America. From heartwarming to mysterious, comical to suspenseful, these romantic tales show that there really is someone for everyone. Whether it happens today or a hundred years ago, from the Atlantic shore to the American West coast, there’s something magical about the finding love when the warm breezes blow. More info on the publisher’s site. What about you–what’s the weather like where you are, and have you had enough of it? What do you think of releasing a “beach reads” anthology in the winter? And whether or not you’re participating in ROW80, what have you been up to this week, and how did you do? Please share–I’d love to hear from you! I’ve missed a few ROW80 check-ins this round, and while I don’t believe in excuses, I do have a couple of reasons. One is “Life: the Good Stuff.” This includes my daughter’s graduation, various end-of -year programs leading up to that (and after), and a subsequent graduation party which went very well. Yesterday and the day before, we had college orientation. In the middle of that, I managed to get my short story revised, so my other reason was “hiding out in the revision cave.” Sometimes, writing a blog post is just one thing too many. It’s like during the holidays, when we have too many things to do, and we need to evaluate what we can drop from the list, and avoid getting stressed out. The revisions wouldn’t have been a big deal–after all, it’s just a short story–but they turned out to be somewhat extensive. 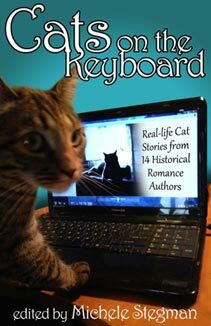 You see, after writing the first draft, I realized I’d set my story in the wrong place. And after beginning revisions, I realized I’d also set it in the wrong time. I’d initially set the story at a fictitious beach resort in order to be able to just get something written. This is a Saturn Society story, and so far, those have all taken place primarily in real locales (barring Hollowville, Tennessee in Time’s Fugitive, which is fictitious). It was missing something, that little dose of real history that is one of the things in my books my readers have told me they love. And therein was the answer to my question: I do it for my readers. It’s also for me: once I’d made the decision to change time and place, I was a lot more excited about the story, and found some way fun history to work in, which I will share here when the story is released. As for this week’s ROW80 goals stated on Wednesday, I did complete the three book cover designs. One of the authors is out of town, so I haven’t heard back on that one, and another is for the anthology that “Time’s Tempest” will appear in. I haven’t sent it to anyone yet, but I’m publishing it, and I’m happy with it. 😀 I sent out, got approval, and finalized one for my friend Jim Winter, and he and I are both very happy with it! I’ll be giving all three some cover lovin’ here soon. So a successful week to be sure! This week, I need to figure out what my next project will be, and if my other friend gets back to me on her cover, I’ll finalize that as well. What about you–knocked out any goals lately? Have you had any change, and needed to ask yourself why? And if so, did you find the answers? 🙂 Please share–I’d love to hear from you! First, we have a debut release by Nigel Blackwell: Paris Love Match is a caper in the style of the accidental tourist. The action occurs in just a single day in Paris. The hero is Piers Chapman, an engineering geek whose jeans are too short, whose mother phones him too often, and who is in Paris to update the software in one of his company’s cranes. The heroine is Sidney Roux, a worldly-wise, drop-dead beauty who is tired of falling for good-looking men who treat her badly. Mind you, she carries a little bit of an attitude and something of a secret, but she’s lived in a world that never gave her anything, and she’s learned to look after herself first. When the sale of a painting between a ruthless dictator and a murderous mobster turns into a raging gun battle with the police in tow, Piers and Sidney get caught up and wanted by all sides. If they’re going to stay alive, they’re going to have to put aside their fears and prejudices, and work together. It’s not an easy thing for either of them to do. More info is on Nigel’s site, along with buy links and info on his Goodreads contest, where you can win a signed copy (entries open until June 7th). 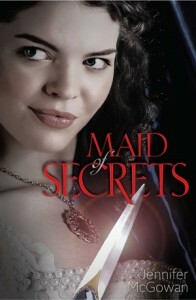 Next up is another debut release, from Jennifer McGowan, one of my Ohio Valley RWA buddies: Maid of Secrets, a YA historical. More info and buy links are on Jennifer’s site. Jennifer L. Oliver‘s first novel-length work came out last month: Hayden’s Choice, a dark urban fantasy/horror novel. More info and buy links can be found on Jennifer’s website. Finally, we have new romance from Kristy K. James: In Laying Low in Paradise, Laura Keane and her son have been spending summers at their chalet on Bois Blanc Island since her husband was killed in the war. She never let anyone else in after the chaplain delivered the sad news four years ago, so it’s just the two of them, and she wouldn’t change that for the world. Cameron Rafferty and his friends were keeping secrets. 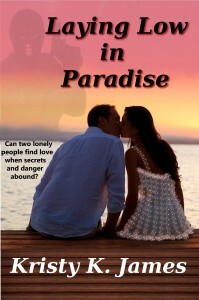 Dangerous secrets, and they’d hoped the little island paradise would be a safe place to hide out. 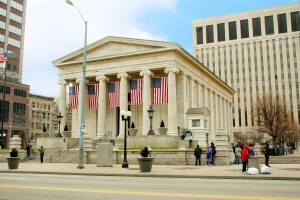 The plan to keep a low profile quickly unravels when an accident changes everything. Cameron soon finds himself becoming more involved with the Keane family than he’d intended -and wishing for things he shouldn’t. More info and buy links can be found on Kristy’s website. Time for a quick ROW80 update, especially since I’ve skipped the past two weeks of check-ins! As mentioned at the beginning of this post, most of that’s been due to “Life: the Good Stuff” which in this case is my daughter’s high school graduation, subsequent party (which was great! ), and preparations and recovery thereof. But it was also due to me hiding out in my revision cave the rest of the time, getting my next short story finished, and turned in for the anthology within about a half hour of the deadline (I know, I know!). 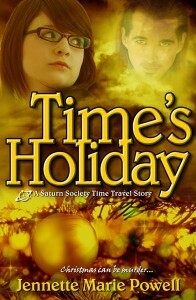 So I will have something new for readers of my Saturn Society series soon! My ROW80 goal for the rest of this week is to complete three book cover designs that have been pushed to the back burner while I survive the end of my daughter’s high school career, and revisions on my story (thank you for your patience, friends who I owe these to!). What about you – do you have your summer reading lined up? Perhaps one of the books above will fit your bill! Ever had to step away from something you are normally consistent with due to good life happening? How did you get back into it? Please share – I’d love to hear from you! 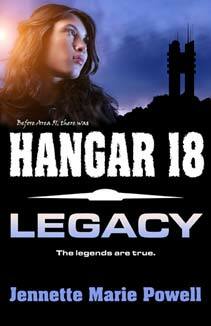 Finish list of major revisions for Hangar 18 – Done! Get it Together exercises 11 & 12 – Done! I also got some work done on a “just for me” project that I may write for NaNoWriMo, so that’s a plus. 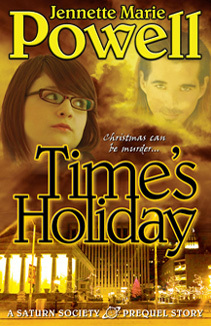 Format and upload ebook of Home for the Holidays anthology if all materials are received – otherwise, get as much done as possible. If you’re participating in ROW80, what are your plans for this round? Obviously, none of my bonus tasks got done. But most importantly, I got my story finished and ready to submit! The deadline’s this Saturday, and I just got feedback back from the last beta reader, so I’ll incorporate what I like from that. I did make progress on How to Think Sideways and Get It Together, if not as much as I’d like. I also made my fitness goals more weeks than not, so I consider that a win! How did you do, if you’re doing ROW80? Are you up for joining us for Round 4? It starts October 1st, so get those goals ready!